Now that the season of extravagance is over, it’s time to kick back and enjoy some of the little things in life. Incense can seem a little overpowering at times, especially in a small room or shared space. So, Hibi’s match-sized incense sticks are great for refreshing the air for just a few minutes. 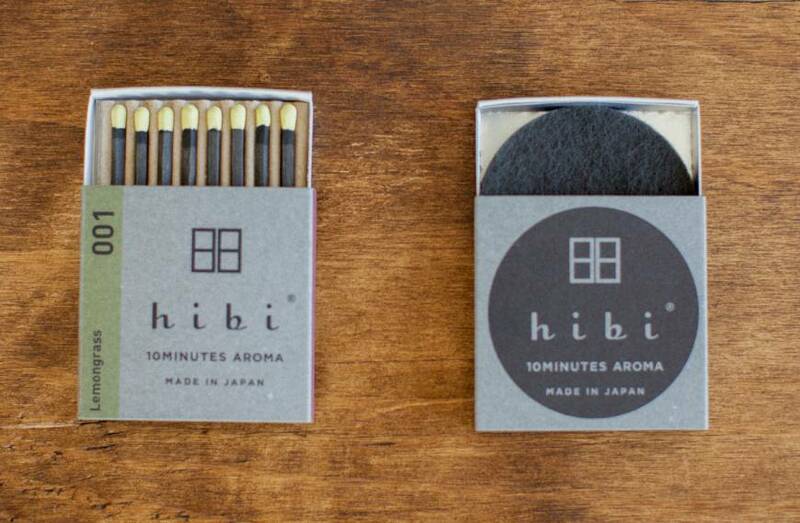 A collaboration between the Kobe Match company and Daihatsu Incense, these tiny sticks are an inventive new product for two long-established industries. 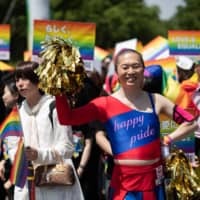 Kobe Match is well known for its nostalgic and beautifully designed matchboxes, making it nice to see that it’s looking for ways to expand in an increasingly matchless society. 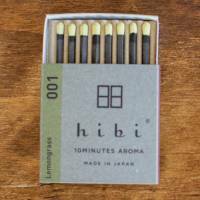 To use a Hibi stick, strike it like a match, let the flame burn out and then either leave it on a saucer it or on a special Hibi mat. The incense burns for 10 minutes. 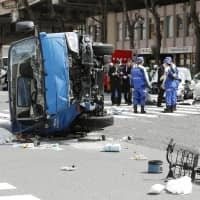 There are five fragrances — lavender, lemongrass, geranium, ylang ylang and tea tree — and a matchbox of eight sticks is priced at ¥648, while eight with a mat is ¥702. Sticks are also available in boxes of 30 for ¥2,160. A collaboration between Takegami and design team Minna, the Meets Takegami range of stationery is made from 100 percent domestically produced bamboo and aims to help support bamboo forest management while generating some revenue from felled trees. 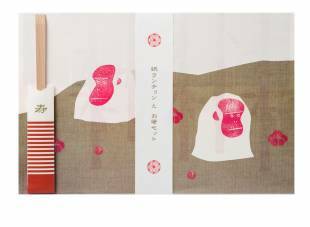 The notebooks have been designed to look like bamboo trunks when rolled up and have the same trunk motif on their binding, while the sticky notes are shaped like bamboo leaves. Envelopes and memo pads are of similar design, but of particular note is the Memo Tower — a cylindrical box of 350 circular sheets, each sporting one of six patterns. All the products are colored with a gentle shade of green and the bamboo paper is of a quality that doesn’t bleed with fountain-pen ink. 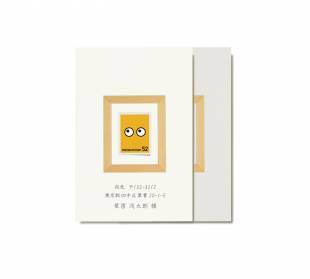 The range is currently available at Daikanyama T-Site with prices ranging from ¥518 for a memo pad to ¥2,160 for the Memo Tower. Nakagawa Masashichi represents a host of brands, all of which blend undeniable Japanese aesthetics with clean, contemporary design. It’s no surprise that it’s celebrating the new year with a set of Japanese-style table settings. Printed in red and white — lucky colors in Japan — and offset with raffia lattice backgrounds, the New Year’s Paper Luncheon and Chopstick set comes with five mats printed with auspicious motifs, including this year’s Chinese Zodiac monkey, pine trees and Mount Fuji. Each mat comes with a pair of aromatic Yoshino cedar chopsticks, and the set of five is priced at ¥2,160. Here’s a ridiculously simple but nice idea — especially for the philatelist. Design unit Hiilo thinks it’s a shame that we put postage stamps on the corner of letters, when the stamp itself is often picturesque enough to be a main feature. So, to give it the attention it deserves, Hiilo have come up with a postcard that frames the stamp — right in the center. You just write the address anywhere outside the printed frame. 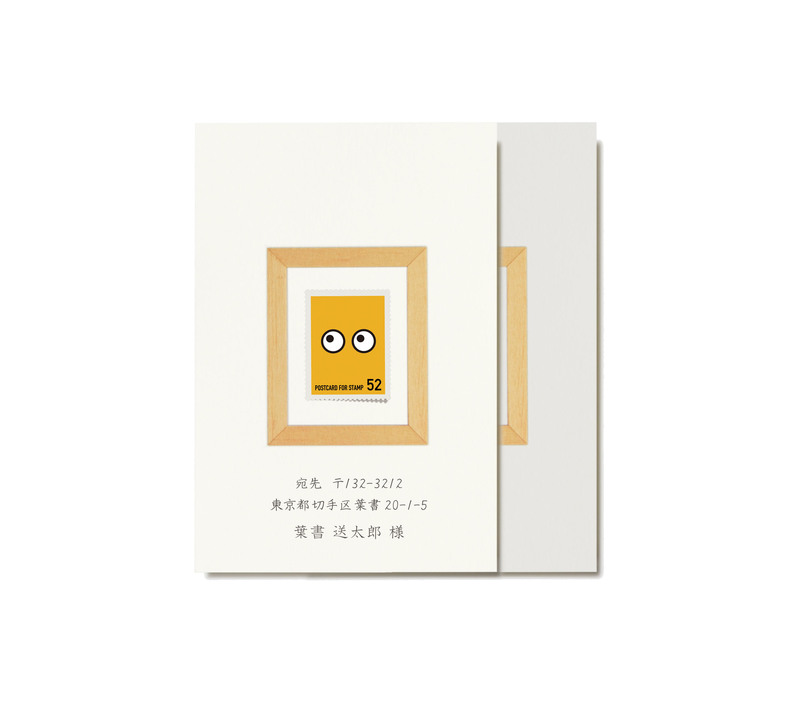 “Hiilo” is Japanese for “gray,” and most of its products are, surprise, gray — but these postcards are also available in white, with both colors priced at ¥540 for a set of three. 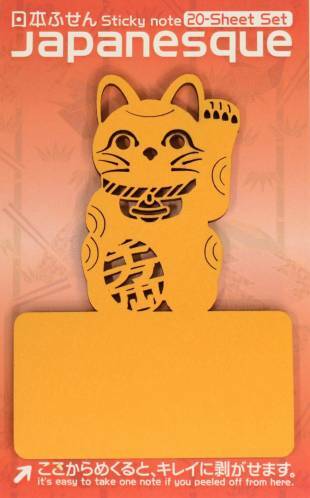 Backstreet Factory produce popular series of cleverly designed laser-cut sticky notes, including Menmo, little figures that can be stuck in various poses, and Denmo, an array of Japanese exclamations and phrases. The latest range, Japanesque, comprise meticulously detailed laser-cut silhouettes of familiar and traditional Japanese imagery. 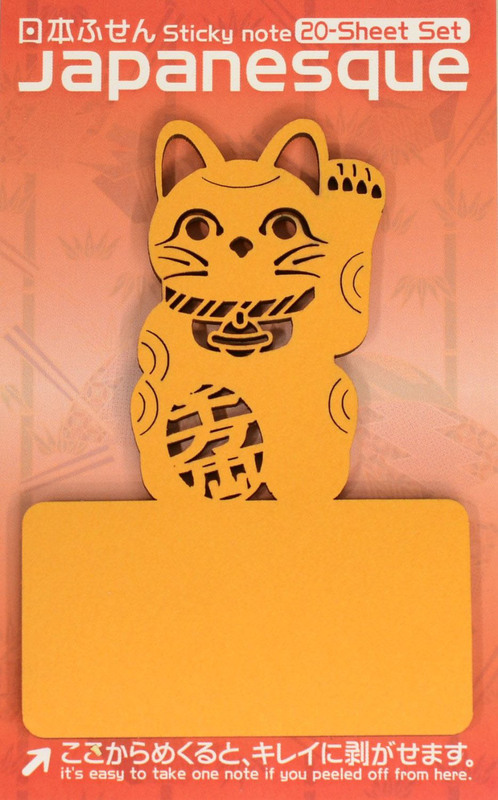 There are 12 designs to choose from, including a maneki-neko lucky cat, a ninja silhouette and cherry blossoms. 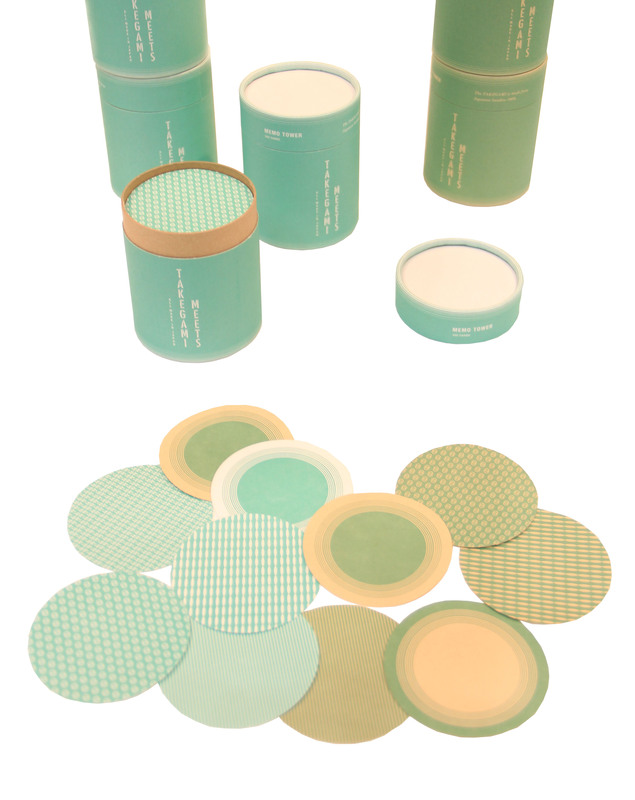 Each pad of 20 sheets is in a muted shade of blue, red, brown, pink or yellow and costs ¥549.